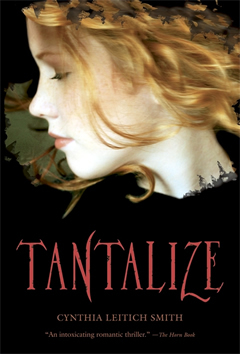 TANTALIZE by Cynthia Leitich Smith (Candlewick, 2007). 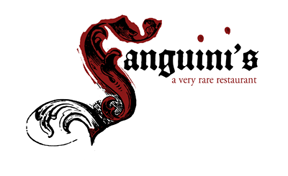 Sanguini’s: A Very Rare Restaurant is hiring a chef de cuisine. Dinners only. Apply in person between 2 and 4 P.M.
Order TANTALIZE by Cynthia Leitich Smith. Learn more about ETERNAL (Book 2)(Candlewick, 2009), BLESSED (Book 3)(Candlewick, 2011), DIABOLICAL (Book 4)(Candlewick, 2012) and the tie-in graphic novels TANTALIZE: KIEREN’S STORY, illustrated by Ming Doyle (Candlewick, 2011) and ETERNAL: ZACHARY’S STORY, illustrated by Ming Doyle (Candlewick, 2013). SEE ALSO the spin-off FERAL trilogy (Candlewick, 2013-2015). Hear Cynthia read from the first chapter in this Candlewick audio clip. “To me, being a teenager seemed a lot like being a monster. A shape shifter with my changing body. A vampire tasting the forbidden. Sometimes wanting to fit into a pack—and sometimes wanting to escape it. Overwhelmed by a hormonal rage. Fearful of what might happen next. 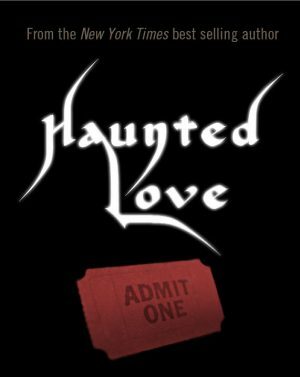 “Adolescence and Gothic fantasy… They’re both explorations of our fears and desires, of the horror and heaven, of opening oneself to the new, redefining possibilities. They’re both about deciding when to walk a line and when to cross it—sometimes with life altering, even fatal consequences. Feb. 2007 | 0-7636-2791-7 | Candlewick Press | Hardcover | YA Novel/Fiction | Interior Design Elements | 310 Pages | Ages 14-up | Other Editions: Listening Library; Editions Intervista (France); Scholastic Book Club; Walker Books (U.K.); Walker Australia and New Zealand.